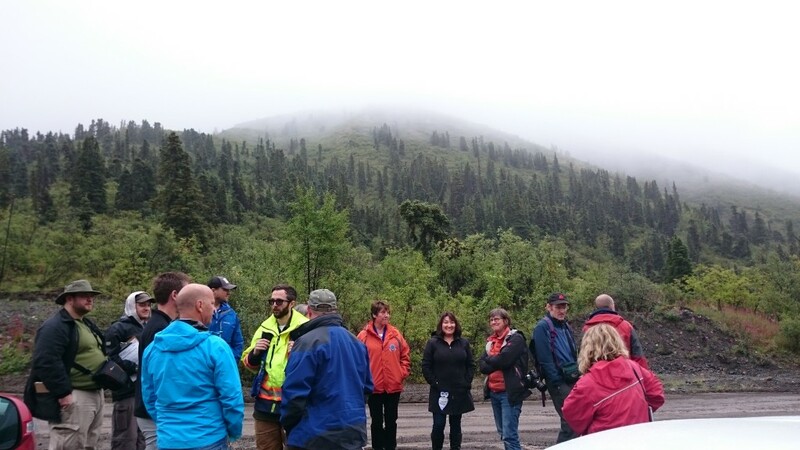 Over the past 2 days in the Yukon we’ve learned about the Klondike’s history, flown into a highly prospective gold exploration project, and seen one of Canada’s richest silver districts. On Day 3 of our trip we visited Wellgreen Platinum (TSX:WG), which hopes to become one of the largest and lowest cost, open pit PGM-Nickel mines in the world. The variation across the Yukon territory in mineralogy is astounding, pointing to future economic prosperity. As we left Destruction Bay it was a smooth 30 minute ride on the Alaska Highway to the Wellgreen Project. This was the easiest site to access so far, with a quick turn off the highway. No planes, helicopters, or barges required. 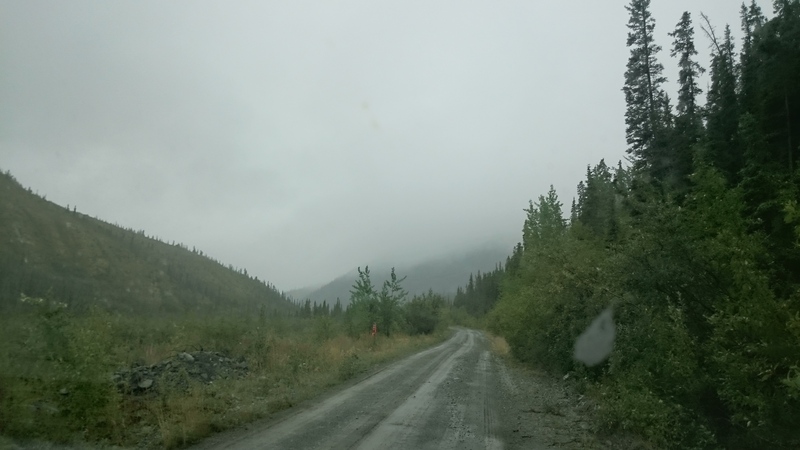 Wellgreen Platinum is situated in the Traditional Territory of the Kluane First Nations. Wellgreen management and the Kluane First Nations have been working closely together since Wellgreen took ownership of the property in 2010. 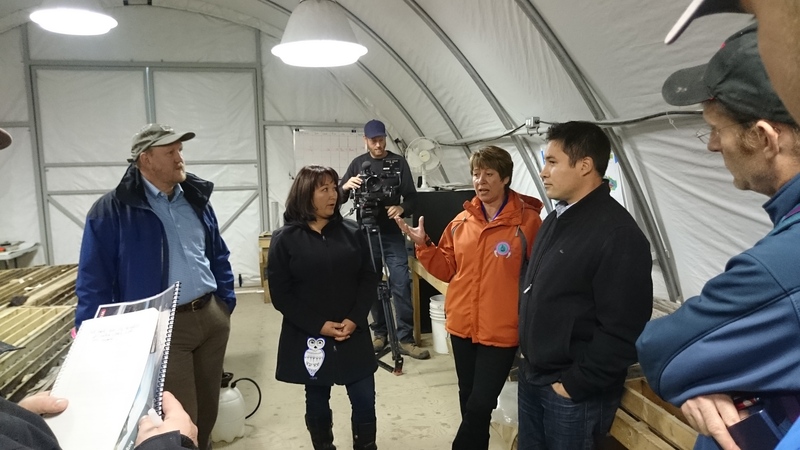 There is a Cooperation and Benefits Agreement between Wellgreen and the Kluane First Nations which supports existing and future plans for exploration. An Advisory Committee has been established with representatives from both parties to address any issues that may arise. 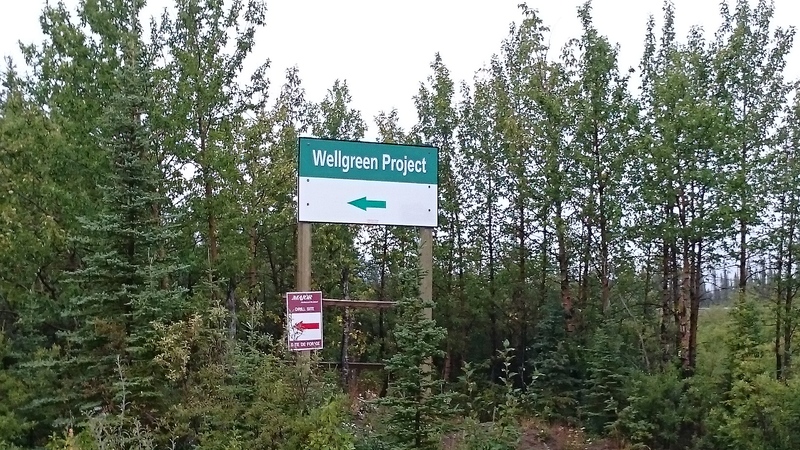 The Kluane First Nations are pro-mining and highly supportive of the Wellgreen project to say the least. Chris Ackerman, Wellgreen’s affable corporate communications manager, was waiting for the media group at the lower camp and core shack. We quickly joined Greg Johnson, P. Geo, President & CEO, and John Sagman, P. Eng, PMP, Senior Vice President and COO there to learn about the significance of the Wellgreen project. The management group is well rounded with decades of exploration, development, and operations expertise with major mining companies. 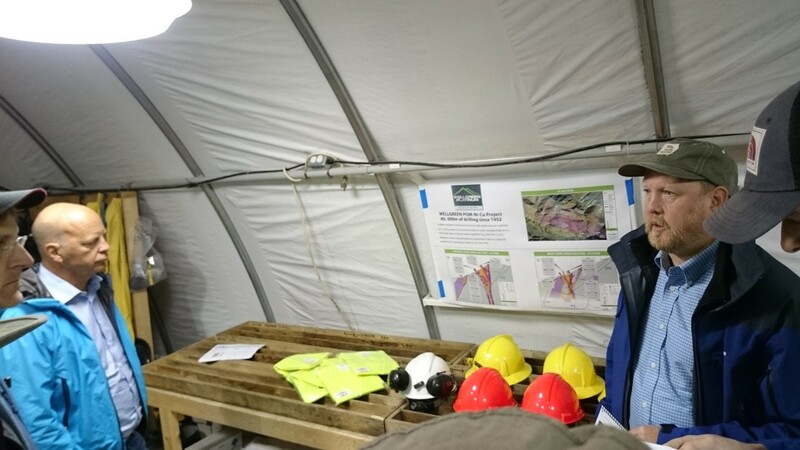 Wellgreen is currently engaged in a multi-phase program which involves a significant focus on infill drilling to further increase confidence in the geological model. Management are focused on taking inferred resources to the measured & indicated category for the Wellgreen deposit. The down dip and up dip extensions which are currently untested in the Far East Zone Cross Section of the main deposit are also going to be a priority. There is a large follow-up study being done on metallurgy to determine if recoveries of finer PGMs can be increased through secondary processing of the magnetic concentrate. All of the above will assist in further understanding the scale and economics of the resource as the management team progresses the project towards the pre-feasibility stage. Wellgreen released its 2nd PEA in Feb 2015 which shows a large mineral resource of 5.5Moz PGM+Au, 2.9B lbs Ni+Cu (M&I) with 13.8Moz PGM+Au, 7.0B lbs Ni+Cu (inferred). If put into production this would equate to approximate production of 209,000 Oz PGM +Au and 128M lbs Ni+Cu in concentrate over the first 16 years of a 25 year mine plan. This magnitude of size would place Wellgreen as the 2nd largest PGM producer and 3rd largest Nickel sulphide producer outside of Russia and South Africa. Project CAPEX is estimated at $586M CAD with a post tax NPV of $1.2B CAD and 25.3% IRR using a 7.5% discount rate. Investors have been asking about the projected economics as the metal prices used are substantially higher. Base case prices Wellgreen used were: Platinum – $1450/Oz, Palladium – $800/Oz, and Gold – $1250/Oz. Today’s spot prices are: Platinum – $971/Oz, Palladium – $522/Oz, and Gold – $1125/Oz. Projected prices were forecasted significantly higher as well for base metals nickel, copper, and cobalt which you can view in the Wellgreen PEA economic model output. One input that benefits Wellgreen is the exchange rate where they forecasted a $0.90CAD/USD where todays live rate is $0.75CAD/USD. Still, the difference in exchange rates is not nearly enough to cover such a premium on metal prices used in the economic model. Investors will be looking for more current spot prices to be used in the upcoming pre-feasibility study to show the economic viability of the Wellgreen project at lower metal prices. As of June 30, 2015 the Company has a cash balance of $5.78M, positive working capital of $3.96M, and is debt free. 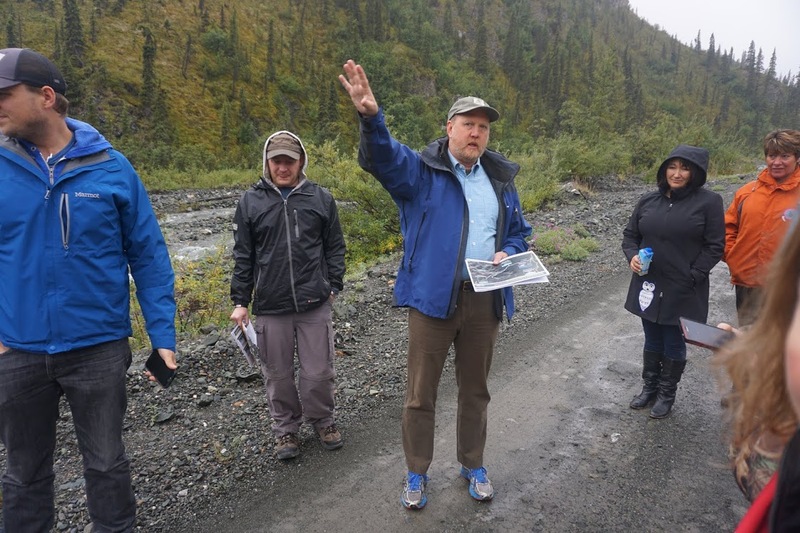 Wellgreen will be funded for the 2015 summer exploration program but may need to finance in the next 12 – 18 months which is typical of juniors who are aggressively advancing their projects through drilling. In my opinion, financing risk is mitigated as they raised $20M in 2014 and management have a successful track record of raising $650M+ for previous ventures. Near-term catalysts for the Company will be anticipated drill results from this summer’s program, the recovery of finer PGM’s through metallurgical testing, and receipt of environmental permits. 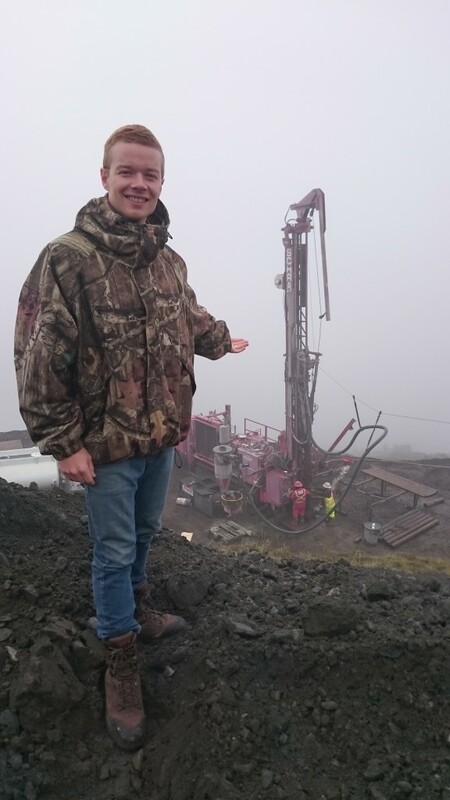 Taking a longer view, management have the belief that their 100% controlled 60 km² property has the potential to be a new PGM district resulting in multiple discoveries of additional Wellgreen-like deposits along a 18km strike length. Wellgreen Platinum is a Yukon development stage story that has a number of things going for it. The company’s main asset is a rare and sizeable PGM+Ni deposit in a safe jurisdiction. There are also discovery opportunities with the potential to define a new PGM district. Wellgreen’s main commodities, platinum & palladium, are expected to continue in a supply deficit which should cause prices to correct in the future. And demand continues to grow for jewellery and vehicles, which will assist in the price correction. If you are attracted to the platinum group metals area, would like to diversify out of Russia & South Africa, and own a low cost multi-million ounce potential producer, then Wellgreen Platinum is worth your consideration. Check back here tomorrow for part 5 in our Yukon series, where we’ll be looking at Kaminak Gold. DISCLAIMER: The work included in this publication is based on SEDAR filings, current events, interviews, and corporate press releases. It may contain errors, and you shouldn’t make any investment decision based solely on what you read here. 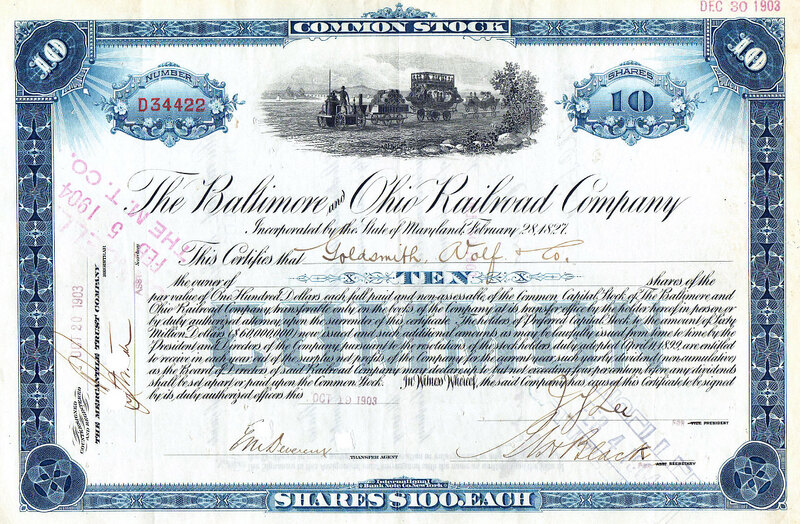 This publication contains forward-looking statements, including but not limited to comments regarding predictions and projections. Forward-looking statements address future events and conditions and therefore involve inherent risks and uncertainties. Actual results may differ materially from those currently anticipated in such statements. The views expressed in this publication and on the CEO.CA website do not necessarily reflect the views of Pacific Website Company Inc. or the author. The author holds no shares in Wellgreen Platinum and has received no compensation for this article. This publication is provided for informational and entertainment purposes only and is not a recommendation to buy or sell any security. Always thoroughly do your own due diligence and talk to a licensed investment adviser prior to making any investment decisions. Resource companies such as Wellgreen Platinum can easily lose 100% of their value so read Wellgreen’s profile on www.SEDAR.com for important risk disclosures. It’s your money and your responsibility.